Holy cow almond! This stuff is the nectar of the gods! If crack kills, then almond milk brings back life. 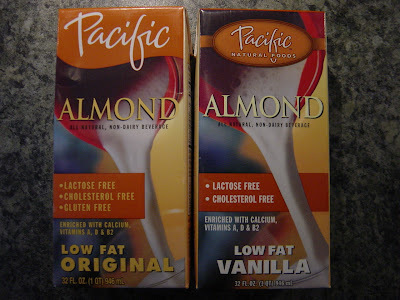 Almond milk is so good, that even it defies the infamous rule of "the first bite is better than the last". Almond milk gets BETTER each and every sip. If offered a scoop of ice cream or a glass of vanilla almond milk, I would be confident in saying bring me the almond with a straw please. If you haven't tried it, give it a shot glass. You WONT be disappointed. Call me skinny, but how do you milk an almond?